A lot about movies and a little about food...two things that make me happy. Well, it's that time again...time for yet another midnight premiere! I'm sure I don't have to tell you what I'm seeing since the hype is insane right now. A friend of mine recently informed me I'm a well-oiled machine when it comes to executing a midnight show, so I thought, just for kicks, I'd share some tips of the trade for all of you Super Fans out there. This is all written tongue-in-cheek, since I know it's all silliness, but yes, I actually do all these things. It makes the night easy and fun! 1. Buy your tickets at 2-3 weeks ahead of time. 2. Buy tickets for your whole group at once. At a place like AMC Easton, where they show the same movie on 20 different screens, you'll all get to sit in the same theatre legally, instead of stealing someone else's seats. 3. Call the theatre the week of the show to find out how early they're opening the doors to let people sit in their seats. 4. Get in line at least an hour before the doors will be opening. That is if you don't want to sit in the front row, straining your neck for 2 and a half hours. 5. When going to a place like Easton, plan with your group where you'll be parking. That way, you can walk together at 3:00a.m. Safety in numbers! 6. Don't ever park in the parking garages! I waited for an hour and a half in garage traffic after one movie. 7. Bring snacks, a book, or cards to keep you and your friends busy while waiting all those hours before midnight. I suggest bringing food with themes from the movie you're seeing. =) Chocolate cauldrons or butter beer anyone? 8. Don't be afraid to make friends! When going to an event like this, people are friendly and there's an instant bond because you're all being freaks together. 9. If you've been sitting in your seat for hours waiting, take turns with your friends saving the seats and go for a walk outside the theatre doors. It's so fun to people watch all the crazies who come dressed up. 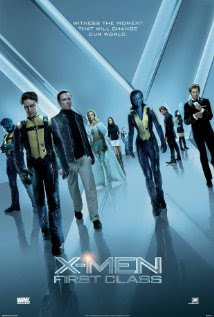 XMen First Class premieres today, which is a prequel to the first XMen movie, and I'm pretty psyched for several reasons. I love back stories! I think the casting of James McAvoy as Professor Charles Xavier is perfect. I'm very excited to see January Jones in another role, as always, because I adore Mad Men (the critically aclaimed, but low ratings series on AMC). Jennifer Lawrence is huge right now, mostly because of her breakout role in the under-the-radar Oscar nominee, Winter's Bone, but also now that she's signed on for The Hunger Games she won't be able to hide anywhere. I also think it's fun that this prequel takes place in the 60's. I love any kind of midcentury anything--the music, the fashion, the interiors, the changing mindset, as it was such a dynamic time in American history. I read an article yesterday that says the XMen franchise is number 3 in superhero box office earnings. Batman is number 1, of course (anyone remember the box office phenomenon that was The Dark Knight a few years ago? ), and Spiderman is number 2. So when those Monday morning opening weekend totals come in, it's fun for me to know I contributed, because yup, I'm going tonight! I love a good movie franchise. The final Harry Potter movie is almost here (bittersweet!). Breaking Dawn has two movies coming, and then Twilight is over. We still have a lot of Narnia movies to look forward to, and I think Disney is doing an excellent job with those. It's not just series that I anticipate, though. 2011 has been especially noteworthy so far because it's bringing us some major bestsellers including Water For Elephants, Jane Eyre, Snow Flower and the Secret Fan, The Help, and The Girl With the Dragon Tattoo. I'm a reader, along with being a movie buff, so knowing a book is being made into a movie is always fun news to hear. I think we fall in love with characters because of the detail a book provides, so then the possibility of seeing them come to life on the big screen is exciting. But there's something so fun about a series because we get to enjoy it over and over again. More than one book means more than one midnight opening, more than one gathering of my friends and fellow fans, more than one dinner or coffee before the movie. So the next big franchise, you ask? The Hunger Games! I have officially jumped on the bandwagon. If you haven't read this can't-put-the-book-down series, I recommend you give it a try before March 23. 2012. 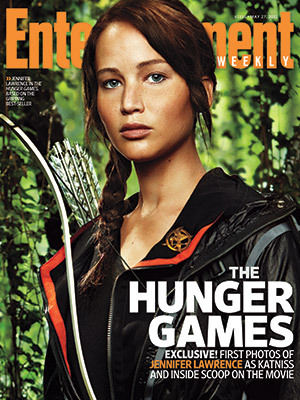 The first movie is currently in production and EW just released a first look at the fabulous Jennifer Lawrence as heroine Katniss Everdeen. This picture is AWESOME! Simmer on stovetop until it becomes syrup. This sauce also gave me a new appreciation for plain old vanilla ice cream. In my opinion it's the best way to enjoy something as simple and perfect as fresh strawberry sauce. 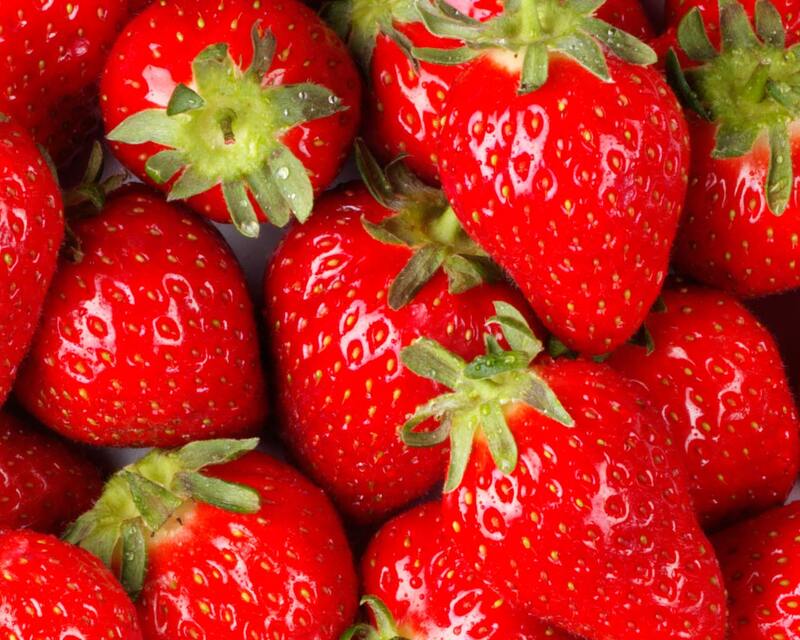 If you're renting a movie this weekend, consider picking up some strawberries and Breyers after hitting the Redbox. Friday is my favorite day of the week. Why, you ask? Because it means a whole new round of movie openings, and this weekend is particularly noteworthy. First of all, the big popcorn movie to start another summer of blockbusters--Pirates of the Caribbean: On Stranger Tides. I'm a huge fan of this franchise. For one thing, it's Disney, which means pure magic. For another, Johnny Depp...it could be said he is one of the greatest actors of our time, and yes, my personal favorite. I always enjoy the roles he chooses. There's speculation on if the fourth movie will do well or not, since this is the first without Orlando Bloom and Keira Knightley, but it's also been said they were a drain on the third movie. I'm not saying I agree. Side note: my kids just watched Curse of the Black Pearl Sunday night and LOVED IT! Even though they're young, they just don't scare easily, and also, the first of the series is a bit more Disney-fied than the rest, with the skeleton crew evoking fun memories of the Pirates of the Caribbean ride at Disney World. A second choice is Happythankyoumoreplease. This movie is a big deal in the Columbus area since writer/director Josh Radnor is a Bexley native. He's actually making an appearance at the Drexel Theatre in Bexley tonight to introduce the film and do a Q&A after the 7:30 showing. I would love to be there but can't make it this time. The movie about a group of young adults searching for connection is also a Sundance award winner. And last but not least, Woody Allen's latest film is Midnight in Paris, starring Owen Wilson and Rachel McAdams. This movie showed at the Cannes Film Festival last week and was met with mixed reviews, but I'm looking forward to it. It's a postcard look at Paris and since I've never been there, that's the Paris I'd like to see for now. Also opening this week...Bloodworth, Cost of a Soul, and Louder than a Bomb. If anyone is out there this weekend, I'd love to hear thoughts on what you see. Happy Friday! This time of year, for me, it's all Christmas all the time. And that includes movies, of course. On last count I have 45 Christmas DVD's and thank goodness for that because I don't like anything else on my tv right now. The last few years have been interesting because some of the worst holiday movies have been released, but also some of the best. The best, interestingly, have been animated. I'm talking The Polar Express and Disney's A Christmas Carol. Every time a new Christmas movie is released I get excited, hoping it will be another to add to my collection, but mostly they haven't made the cut in the last decade. 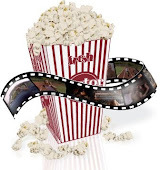 I'm talking movies like Four Christmases, Surviving Christmas, Fred Claus, etc. There have been a few hidden gems in there though, like Elf (of COURSE!) and Christmas With the Kranks (which I seem to be alone in my love for but any movie that makes me cry at the end gets a general thumbs up from me). So, since we're talking movies, I'll share one of my tradtions. Every year I save the best for last. I've started a little tradition with myself. Since my husband coaches basketball there are a lot of winter nights he's not home, and somehow the Saturday before Christmas, he always has a late game. And every year without fail, I turn out all the lights, except for the tree and Christmas lights, I light a bunch of candles, I make a special snack for myself, and I top it off with peppermint hot chocolate (which I always keept stocked in December). I spend a good quality evening with George Bailey. No phone interruptions, no laptop distractions. 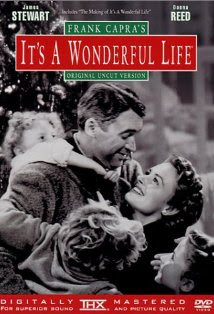 Just me and this most wonderful black and white classic. Today is an exciting day to begin this blog! Why, you ask? Because at midnight tonight I will be sitting in a theatre watching the premiere of Harry Potter and the Deathly Hallows Part 1. Yes, I'm one of those wacko midnight show people. This is one of the biggest movie events of the year and I will be waiting in line for my seats at 6:00 tonight! Let's just say I'm not a front row kind of girl when it comes to movie theatres. I plan to enjoy this epic film from the best seats in the house--middle center. Waiting in line can get old, but since the crazies really come out to play for these things, I'll have people-watching to keep me occupied. I'm not one to paint a lightning bolt on my forehead or wear a cape, but I sure enjoy watching the people who do! We've watched Harry, Ron, and Hermione grow up over the last decade and as the epic story of good and evil comes to a close, all I have to say is thank goodness they're splitting it into two movies, so we can drag it out a little longer and do this all over again next summer. So if you're reading this and you happen to be going also, enjoy the show. I know I will!